This is my adventure. : SEND IT! I decided to do some arts and crafts tonight. 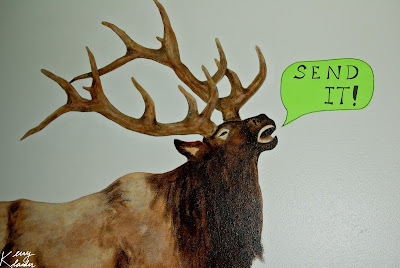 Our dining room elk needed some character.